THREE 'highly reliable' US government officials reported seeing TWO UFOs hovering near a train line, but their superiors covered the sightings up, it has emerged. 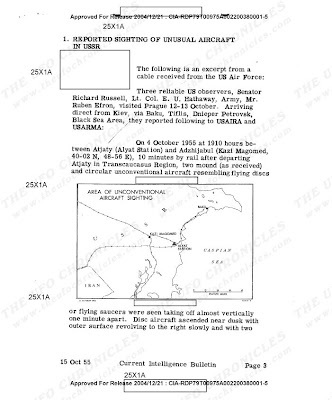 Formerly confidential files obtained by alien researchers detail the account given by senior senator Richard B Russell and two aides of seeing the "flying saucers" TAKE OFF. At the time, Sen. Russell was on a Soviet-era train during a fact-finding mission to Russia, nearly 60 years ago. Sen. Russell, was a former chairman of the Armed Services Committee and one of America's most influential senators until he died in 1971 after serving for 38 years. 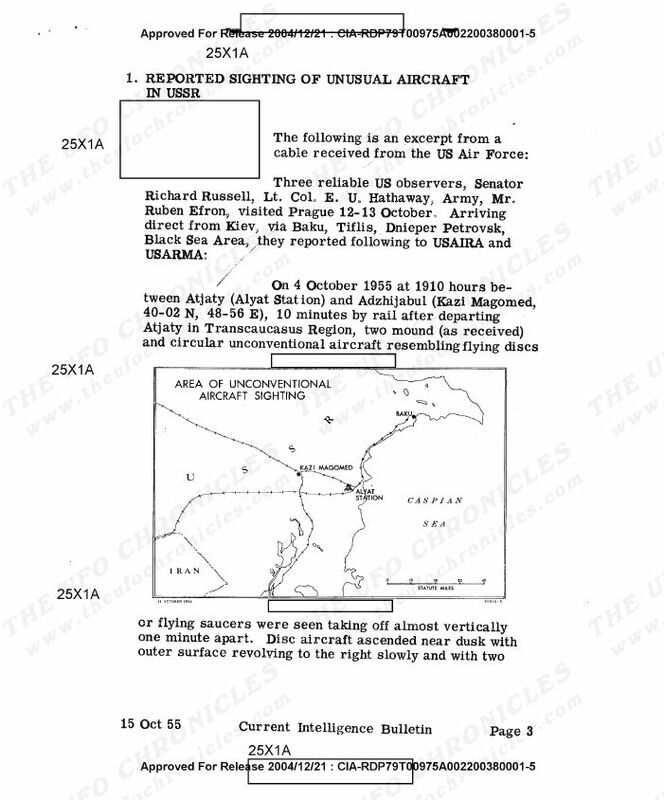 Documents obtained by the Fund for UFO Research (FUFOR) said Sen. Russell was travelling with his two aides in the Transcaucasus region on October 4, 1955 at about 7 pm, when the incident occurred. He is said to have looked out of the window and spotted two disc-shaped UFOs 'taking off' from a spot near the railway tracks.